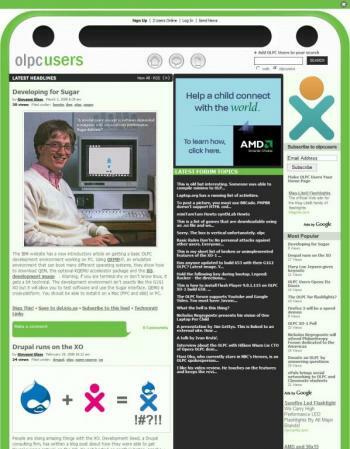 I built this site to blog about the OLPC project and to see what Drupal 5 could do. The site is still rough on the edges but is usable. I will write a case study about the site soon. -An elegant and clean way to upload and display an image gallery like Flickr, Smugmug, Zooomr. It must facilitate image manipulation, browsing and image reuse!